Toronto, January 25, 2017 – Dynamic Funds and BlackRock Asset Management Canada Limited (“BlackRock Canada”) today announced the launch of its actively managed exchange-traded funds (ETF) lineup. 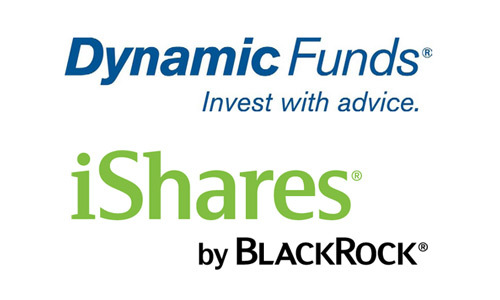 The new suite of five Dynamic iShares Active ETFs combines Dynamic’s style of active portfolio management with BlackRock’s industry-leading ETF execution and operational expertise. Dynamic iShares Active ETFs will begin trading on the Toronto Stock Exchange (TSX) as of market open on January 25, 2017. DXP seeks to provide dividend income while preserving capital by investing primarily in preferred shares of Canadian based businesses. The ETF will provide exposure to an active investment strategy managed by Marc-André Gaudreau and his corporate credit team. DXO seeks to provide interest income and the potential for some long-term capital growth by investing primarily in North American fixed income corporate securities that are rated close to the line dividing investment grade and high-yield credit. The ETF will provide exposure to an active investment strategy managed by Marc-André Gaudreau and his corporate credit team. DXG seeks to provide long-term capital growth by investing primarily in a diversified portfolio of equity securities of businesses located around the world that pay or are expected to pay a dividend or distribution. The ETF will provide exposure to an active investment strategy managed by David Fingold and Peter Rozenberg. DXU seeks to provide long-term capital growth by investing primarily in a diversified portfolio of equity securities of U.S. based businesses that pay or are expected to pay a dividend or distribution. The ETF will provide exposure to an active investment strategy managed by David Fingold and Peter Rozenberg. DXC seeks to provide long-term capital growth by investing primarily in a diversified portfolio of equity securities of Canadian based businesses that pay or are expected to pay a dividend or distribution. The ETF provide exposure to an active investment strategy managed by Don Simpson and Eric Mencke. BlackRock is a global leader in investment management, risk management and advisory services for institutional and retail clients. At December 31, 2016, BlackRock’s AUM was US$5.1 trillion. BlackRock helps clients around the world meet their goals and overcome challenges with a range of products that include separate accounts, mutual funds, iShares® (exchange-traded funds), and other pooled investment vehicles. BlackRock also offers risk management, advisory and enterprise investment system services to a broad base of institutional investors through BlackRock Solutions®. As of December 31, 2016, the firm had approximately 13,000 employees in more than 30 countries and a major presence in global markets, including North and South America, Europe, Asia, Australia and the Middle East and Africa. iShares® is a global leader in exchange-traded funds (ETFs), with more than a decade of expertise and commitment to individual and institutional investors of all sizes. With over 700 funds globally across multiple asset classes and strategies and more than US$1 trillion in assets under management as of December 31, 2016, iShares helps clients around the world build the core of their portfolios, meet specific investment goals and implement market views. iShares funds are powered by the expert portfolio and risk management of BlackRock, trusted to manage more money than any other investment firm1.